Yahoo Stores are an easy way to get your eCommerce store up and running, but unfortunately there is no easy way to export your Yahoo Stores products to Google Shopping. We’ve Built a Powerful Way to Get Yahoo Stores Products Exported to Google Shopping! Trying to get a Yahoo Stores feed to Google Shopping can be very frustrating. There are a few plugins that haven’t been updated in years, and don’t work with the newest version of Yahoo Stores. If you try to create a feed manually, you can use your Yahoo Stores catalog.xml or objinfo.xml file and try to convert it into a format Google Shopping can use, but this can be a problem as you might have size and color variants on your Yahoo Store, and lets be honest, refactoring XML code is not fun. 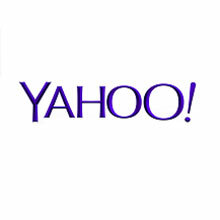 Following the documentation is often unhelpful as Yahoo Stores are now managed by Aabaco, and most of the old documentation pages simply don’t work. Feedonomics allows you to dynamically create a Google Shopping feed based on your most up to date Yahoo store data, and of course optimize that data before sending it out to Google Shopping.